Below you will find information on the basics of using Kartify within your Shopify store. Kartify can allow you to enhance your store’s cart page greatly. We have a Frequently asked Questions section here. If you can’t find what you are looking for or have an issue with Kartify in your store then don’t worry, you can get in touch with us here. I have enabled the settings but it won't show? The installation is non obtrusive. It should work out the box if you are using a conventional Shopify theme or 3rd party theme developed to correct standards. If you have installed it but you can’t get any aspects of Kartify to display in your cart, you may need to add a small line of code to your them. Contact us and we can assist you with this. To display a banner, just navigate to the Kartify Dashboard ( Apps > Kartify ) and scroll down to the banner section. First of all, make sure the “Display A Banner” box is checked. Next, simply upload your banner clicking the “choose file” button and then hit the “Save Configuration” button top right. To display a Custom Message, just navigate to the Kartify Dashboard ( Apps > Kartify ) and scroll down to the Message section. First of all, make sure the “Display A Custom Message” box is ticked. You can enable/disable elements within the custom message. For example, in the screenshot above, both the “Title” & “Message” box are checked. We could choose to only have a Message showing by unchecking the “Title” box. The message is WYSIWYG and can accept HTML. 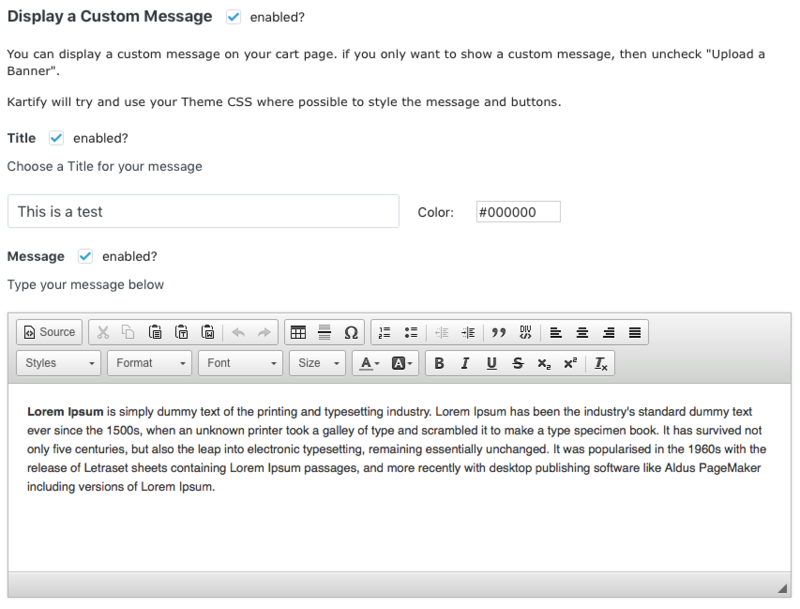 The button is part of the Custom Message and is explained in the next section of the documentation. You can also choose to add a custom background or colour to the message. By default, the message background will use your themes background. To display a button, you must have the “Display a Custom Message” box checked. If you only want to display a button, simply uncheck the “Title” & “Message” box within the “Display a Custom Message” section. To display secure shopping/trust badges, there are multiple ways of achieving this with the Kartify App. The easiest way is to enable “Display A Custom Message” and then check the “Message” Box. Next, paste one of the following codes into the box. For a light coloured security badge, paste option A. For a dark security badge, paste option B.
Upload your secure/trust badges to your files section in Shopify. This can be found under Settings > Files. Once you have Files open, upload your secure/trust badge. Copy the code below and replace ‘YourImageURL’ with the URL of the image from the previous step. The code is to be pasted into the “Message” box under “Display A Custom Message”. Make sure both are enabled! Next, save Kartify’s Settings and your badge will appear! Notes: Make sure your badge is the right size. If you are confident with HTML, you can adjust the image to suit your requirements. To display a promotion or offer, you just need to make use of either the “Display a Banner” section or “Display a Custom Message”. Let’s display a message to incentivise customers to checkout so we can get more sales. Simply setup a code under discounts for the type of promotion you want to offer. We find offering 5% off works best. Next, under Kartify’s App Settings, enable “Display a Custom Message” and check the box for message. Type a message like the one below along with your code. Once done, click “save settings”. Your message will now appear on the cart page! If you would like a professional banner designed for your store, click the button below! 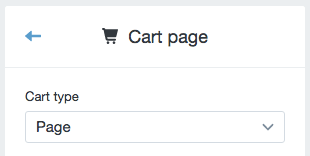 Some themes come with an AJAX cart. This is the cart that slides out from the side. Kartify requires a true cart page to function. All you need to do is change the themes cart to use page. 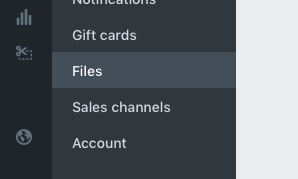 To disable these cart types and change your cart type, please go to “Customize theme” in your shopify dashboard under sales channel “Online Store”. Under “Cart Page” (or a similar section), change “Cart type” to “Page”. Drawer, slide out, or modal cart types are incompatible with option pricing.